So ladies!! do you have oily skin? If yes, then you’re definitely facing the problem of acne and pimples. People having oily skin often complain of acne and pimples. Oily skin is the most common skin type that needs extra care. Oily skin is not only a dull and shiny skin type. It is also called acne-prone skin. Oily skin always develops the problem of acne, blackheads, whiteheads and redness. To prevent your skin with these problems, you must have to take care of your skin. There are so many ways to treat oily skin. Face washes are also available for oily skin that helps to prevent skin from acne and also slow down the process of oil production. Here in this post I am sharing top 10 best face wash for oily skin below. There are so many face washes are available for oily skin. But I have collected these top 10 best face wash for oily skin that is easily available in markets. These face washes are very effective and help in slow down the production of oil in the skin. Let’s check out them below. Clean & Clear is the most famous beauty brand. 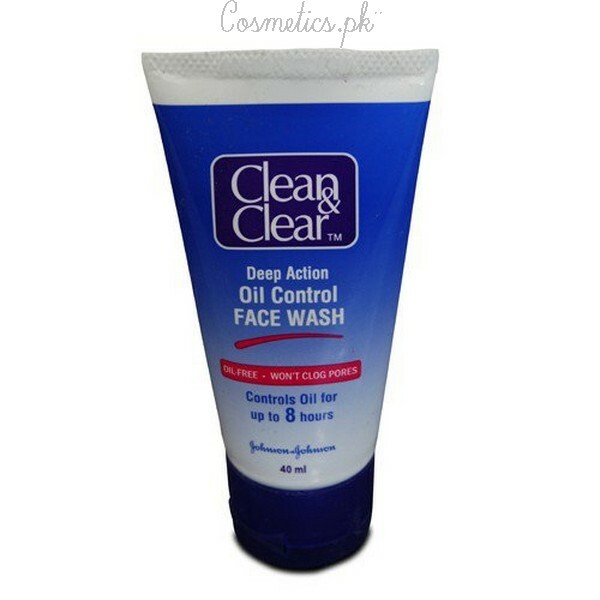 Clean & Clear offers its deep action oil control face wash for oily skin. This face wash gives you a long lasting oil-free lock. it also removes excess oil and dirt from pores. Simply, take a little amount of face wash and then apply onto face. Massage gently in a circular motion and rinse off with water. Little Amount Goes Long Way. Oil-Free Lock For 3 Hours. Price: Rs 95 for 50ml. 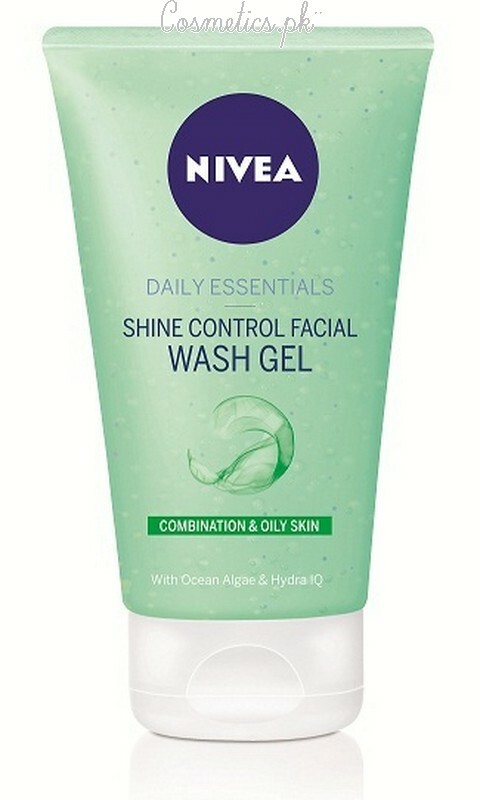 Nivea Shine Control face wash is a deep cleanser face wash. It cleanses and purifies oily skin. Nivea Shine Control contains active regulator that help to reduce excess oil and prevent shine. It also contains micro-scrub that remove all traces of dirt and impurities. Take a little amount of face wash and then apply onto face. Massage gently in a circular motion and rinse off with water. Price: Rs 95 for 10ml. 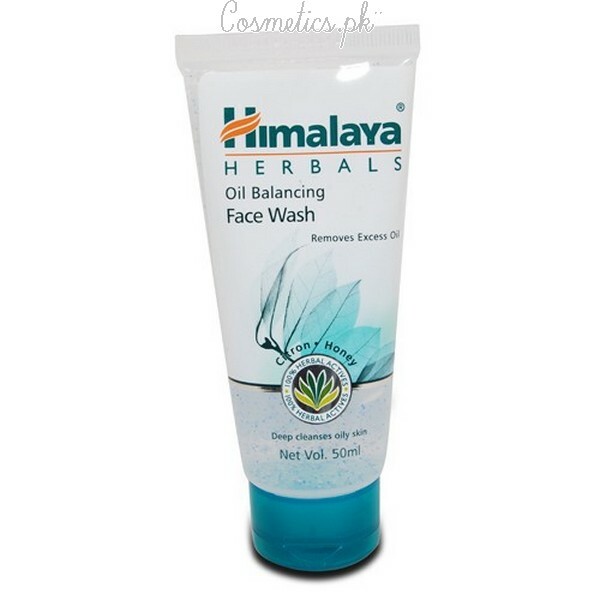 Himalaya face washes are very popular in women. This is a soap-free herbal face wash for oily skin. Himalaya face wash gently cleanses face and removes excess oil. It contains Citron, which is a cooling and astringent agent. It also includes honey which is a natural deep cleanser. Simply, apply the face wash over the face and massage gently for 2 minutes. Rinse off with water. Price: Rs 65 for 100ml. 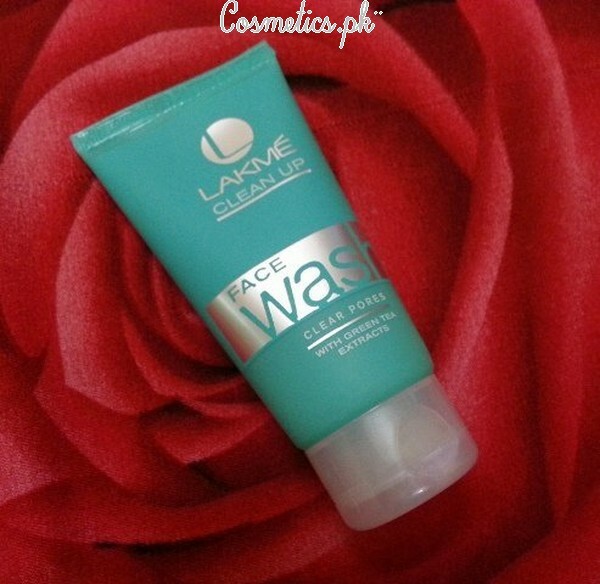 Lakme Clean Up face wash is on number 7th in our top 10 face washes for oily skin. It is a face wash that has the gel-like consistency. It also includes small red beads. These beads gently cleanse the face. It looks like a scrub. It is very effective face wash for oily skin. Apply the face wash over the face and massage gently for 3 minutes in a circular motion. Rinse off with water. Price: Rs 40 for 25gm. 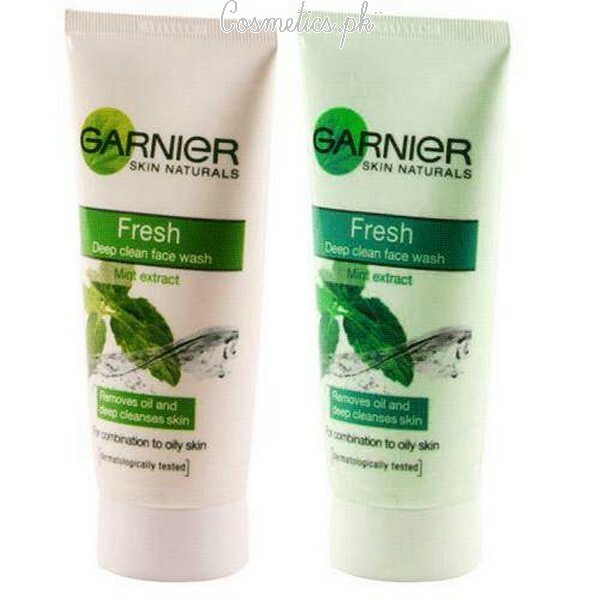 Garnier Deep Clean face wash is best for combination to oily skin. It removes oil and deep cleanses the face. Garnier Deep Clean leaves the skin fresh with cool menthol effect. It includes purifying agents that remove sebum, traces and impurities. Apply the face wash over the wet face and massage gently with fingertips. Avoid eye contact and rinse off with water. Use twice daily for the better result. Price: Rs 95 for 100ml. Pond’s Mattifying Oil Control face wash is popular due to its best results. It makes the skin soft and supple while removing the dirt. and also controls the production of sebum and oil. Pond’s Mattifying Oil Control leaves the skin fresh and nourishes the dry area. it is highly effective to prevent acne and pimples. Apply the face wash over the wet face and massage gently with fingertips. Avoid eye contact and rinse off with water. Small Amount forms Good Amount Of Lather. Does Mattifying Skin but Not for for Long Term. Price: Rs 220 for 100gm. 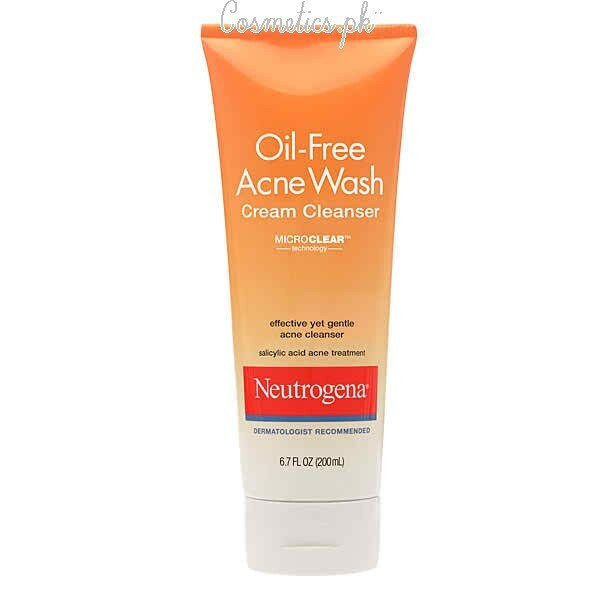 Neutrogena Oil-free Acne face wash is best for acne prone skin. It has the oil-free formula gently cleanses deep down into pores for clear skin. It also contains Salicylic Acid that prevents the face from acne. This is a gel-based face wash. It lathers are very well and help to fight breakouts. Apply the face wash over the wet face and massage gently in a circular motion. Avoid eye contact and rinse off with water. Cleanse The Skin Super Well. Price: Rs 850 for 6oz. L’Oreal Hydrafresh face wash is best for combination and oily skin. This is a creamy face wash is highly effective for oily skin. It removes the dirt and impurities. It makes the skin fresh and removes tiredness of face. Pink Color With Mild Fragrance. Lathers Well To remove Dirt. Enough Quantity For Entire Face. Long Lasting For 4 Hours. Price: Rs 600 for 125ml. 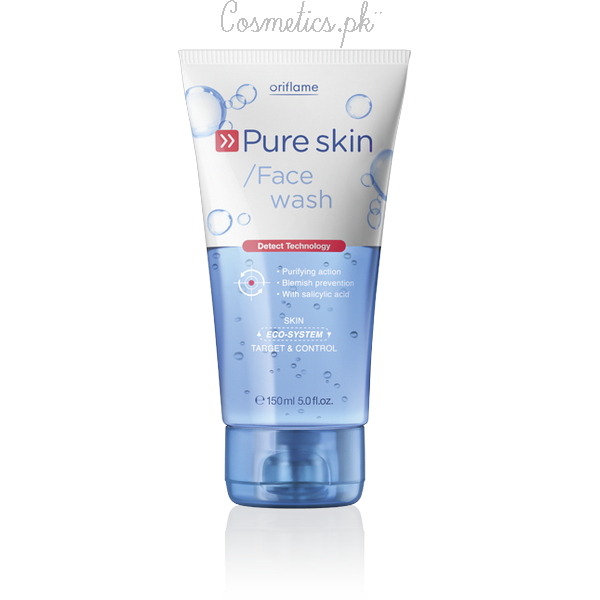 Oriflame Pure Skin face Wash is on number 2nd in the list of top 10 face washes for oily skin. It is the most famous face wash in women. It has colorless and gel-based face wash. It’s smell like menthol which gives a cool effect to the skin. It cleanses impurities and oil from the skin. It also eliminates shine from skin and gives a fresh and healthy complexion. Price: Rs 599 for 150ml. On the number one is none other than Olay Foaming face Wash. The perfect face wash which is perfect for sensitive and oily skin. It has a formula contains aloe extracts which highly effective for oily skin. It removes oil and impurities from face and makes it fresh. This Olay cream is a natural moisturizer and makes the skin oil free for the long term. Squeeze out the face wash on the wet hand and add water. Make lather and apply over the face. Massage gently in a circular motion and rinse off with water. Price: Rs 135 for 100gm. Well, these all face washes are in the list of top 10 best face wash for oily skin. which one do you use?